Welcome to Wow Us Wednesdays! I'm so glad you are here. I hope your week is going well. Can y'all believe it will be August in a couple days? Wow, where did July go? Summer is going by way too quickly. We haven't even been on vacation yet, but it is coming up soon and I can't wait. This past week I shared: Mid Summer Farmhouse Style Guest Room, Creating French Country Style with Fabrics, and Some Changes in the Master. Along with the Favorite Room and some Peeks at my latest project. There were lots of great links last week so let's look at a few features. 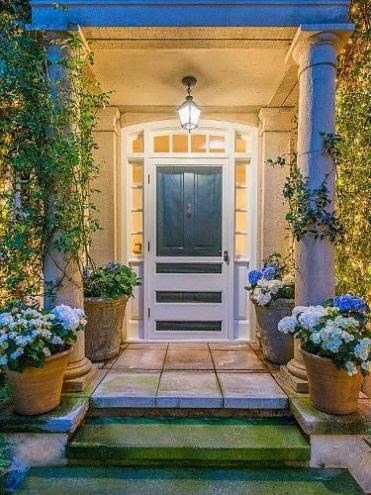 You must see this fabulous butler's pantry/laundry room/craft room at Eleven Gables. I know I just featured Bliss Ranch not long ago, but when something wows me I have to feature it and this nightstand turned play kitchen definitely wowed me. 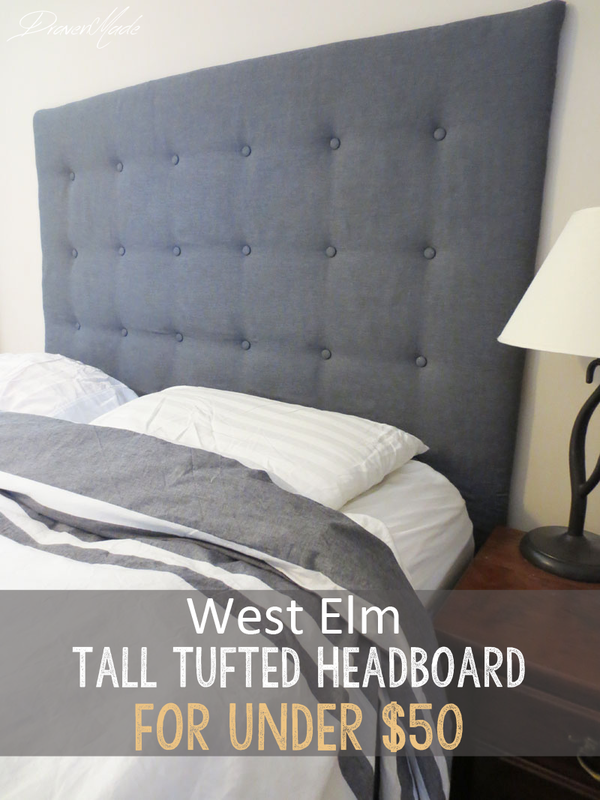 Professional looking tufted headboard with full tutorial was shared by Draven Made. Mimi at Blue Roof Cabin has done it again. She built that gorgeous white pantry. I'm telling you she can do it all. I had never heard of wool dryer balls, but here is a tutorial on how to make them by The Real Thing With the Coke Family. I ma going to try this recipe by Home is Where the Boat Is. 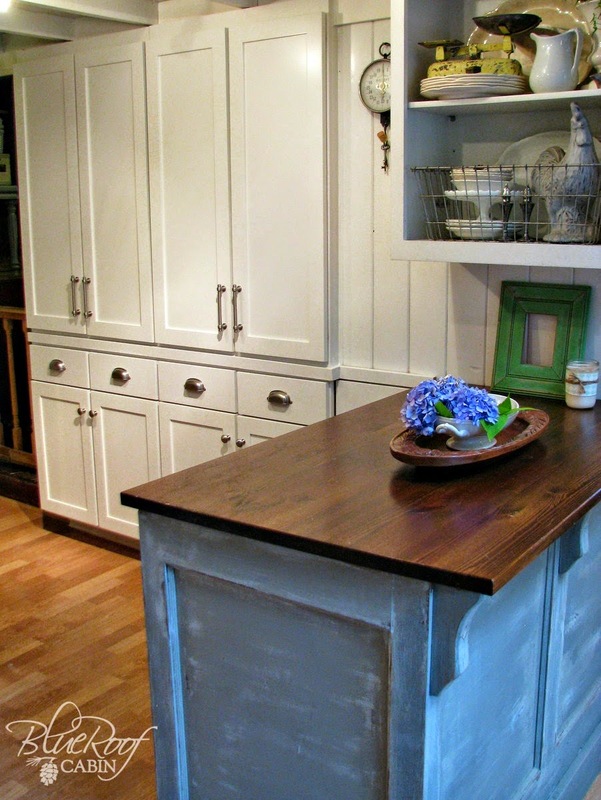 This home tour shared by Simply Vintageous was the most viewed link. Thanks to everyone who joined last week. If you were featured please grab a featured button from my sidebar. Great features Kim...thanks so much for hosting!! So many amazing features this week. Enjoying the changes you are doing Kim! Thanks for hosting WOW! Thanks for hosting, Kim. Love everything you are doing at your home!!! Thanks for hosting Kim!! I had heard of wool dryer balls, but never tried them. My mom has had success with one ball of aluminum foil which I plan on trying. Fun Features! Thanks for hosting, Kim! Thanks for the party! I love the nightstand turned into a play kitchen. And, it's PINK! Thanks for hosting Kim! Looks like another great party ahead! Thanks so much for hosting Kim!! Enjoy the rest of your week!! Wow Kim I LOVE that little kitchen made from a nightstand! How absolutely adorable! Almost makes me wish my kiddies were still young enough for me to make one for them. (The operative word being ALMOST!) LOL! Love that play kitchen and all the features! Thanks for hosting us Kim! Wow, Kim, your feature of Eleven Gables' work room knocks it out of the park for me - pin-worthy! Thank you for hosting and sharing! Thanks so much for hosting, Kim. Hope you're feeling better. That same thing happened to my youngest daughter several years ago. Not fun! Great features...love Mary's recipe too!...Thanks for hosting...!!! Oh, Mimi's pantry is beautiful!! Thanks so much for hosting, Kim! thank you Kim, and NO I can't believe it's almost August!! I love that play kitchen!! Lots of great features Kim. Going to see what else you posted this week. I have been on a blog break. Glad to be back. Great inspiration. Thanks for hosting. I am so in love with the butler's pantry - my washer, dryer and hot water heater are all in the little closet under the stairs. Thanks for hosting. Kim, those features are awesome, headed over to check out that laundry room! Thanks for hosting! Great features. 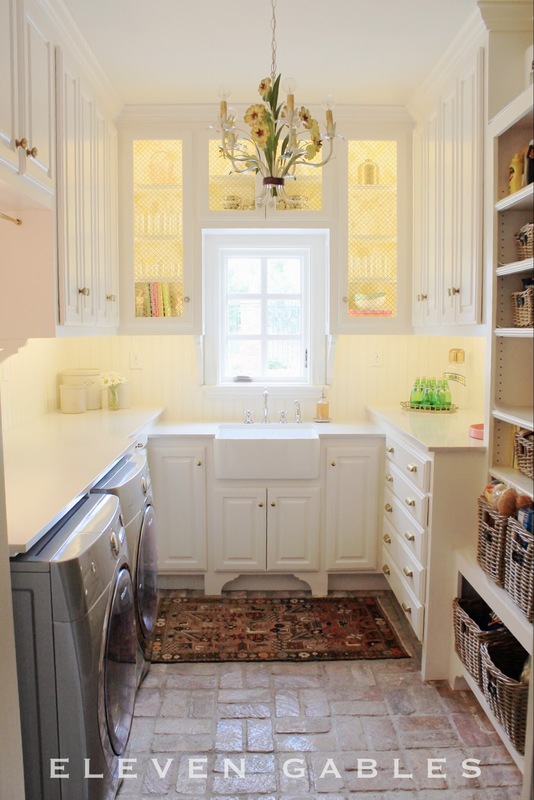 Love that pantry, laundry and work room, all in one! Thank you so much for hosting this fab party. Gorgeous features~ thank you so much for hosting! Great features tonight. Thanks Kim, for hosting Wow Us Wednesdays. Thanks for hosting. Such darling features. Thanks so much for hosting! 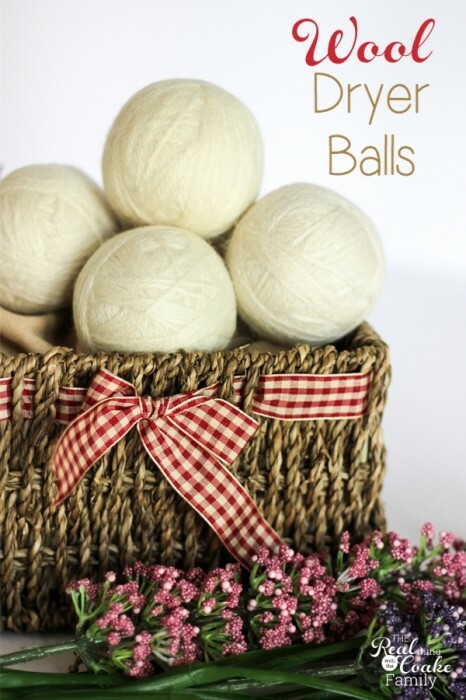 Thanks also for the feature of the Wool Dryer Balls I made...that was a fun surprise! Have a great night. Loving all the features Kim, thanks for the party! Thanks for the great party, Kim! Have a great week! Good Morning Kim, I am so pleased to be a part of your party. I have added my Gazpacho recipe as the weather is so warm here in England that it is the perfect cold soup. When I added my link I received a message to say I had not added a back link to your blog. I have done this, but it does not seem to be showing up which is strange. Hopefully it will work itself out. Kim, I'm a new visitor to your blog and love your Savvy Style. I've linked up today and will add you to my Blog Lovin' list! Thanks for the party! I loved all you features and can't wait to visit some of your guests! My favorite Wednesday read! Thanks so much for hosting. This weeks features are amazing. True confessions, I have laundry, butler, craft room envy. Looking forward to seeing the fruit of Mr Savvy's ironing. Giggle. Love all the changes you've been posting lately! Thanks for hosting Wow Us Wednesday each week! Hi Kim - I enjoyed looking through the new projects linked up this week. Thanks for hosting and love your features. As always, a great link up! Thanks for hosting!! If you haven't tried wool dryer balls, you should. I LOVE my dryer balls... no more dryer sheets! Wrinkles out! Soft. No additives for Alex's sensitive skin (why I tried them in the first place). Great invention. Thanks so much for hosting, Kim! And yes, summer is flying by! Enjoy your day. I can't believe how fast time flies! We love summer and all the activities - boating, etc. However, with no children, we have almost always vacationed spring/fall. We took one in May and have another coming up in October. Less crowded at those times, kids are in school, etc. Thanks for sharing, Kim! I will have to try those dryer balls! I can't believe that summer is almost over. This past winter seemed to never end, and here we are, almost August! S-I-G-H! Thanks so much for hosting Kim!!! So many great features, as always Kim. Thanks so much for hosting. Thank you for hosting Kim... I am with you on how time is flying... enjoy you soon to be vacation! Thank you so much for the feature of my pantry Kim. I appreciate you! Your comment made my week ;) Lots of great features I am honored to be included. It took me a year but thank you for featuring my pink play kitchen. I found it when I googled something about a laundry room, came over to see and found the kitchen. Bonus!